Shin splints are the most common injury brought on by exercise, according to the Mayo Clinic. Most sufferers are physically active, and start experiencing pain after or during a run, game, or other form of exercise. The symptoms include sharp pain below the knee and focused around the shin area. 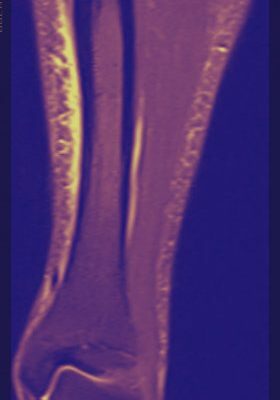 In medical terms, the affected area and source of the pain is the tibia bone. Often, the condition produces shooting pains from the ankle to the knee, and after activity, this area will typically remain sore and tender. Most sufferers report shin splints as particularly painful after strenuous activities like running, tennis, basketball, soccer, and any sport that has sudden stop and starts. While there are preventative measures one can take to avoid shin splint pain, if you are already struggling with shin splints, you can try the following treatments at home to relieve the pain. Tight lower leg muscles pull on the area around your shin bone, which results in discomfort, pain, and swelling in the area. When the muscle in your leg is causing the pain, it is good idea to use an ice pack on the area that is hurting. 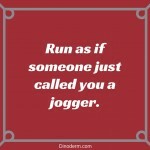 It is also a sign that you may be overtraining, so shin splints are often the body’s way of telling you to take a rest. If you don’t have an ice pack in your house, an excellent alternative would be to use plain ice in a bag or simply use a bag of frozen peas. But for the best relief, it is a good idea to get an ice pack and massage it into the area affected about 5 to 10 minutes a couple of times a day. This will help bring down the inflammation and ease the pain. In addition to avoiding activities that could irritate the area–like jumping and running–you may want to try gentle stretching of the lower leg, to release tight muscles. Once you begin treating the problem with your shin pain , you can start working on prevention. Just as back and knee braces are frequently used to stabilize sensitive joints during physical activity, it is a good idea to provide pressure to the affected area around your lower leg. Over the counter aids like compression sleeves and medical tape help by providing support, increasing circulation (in the case of the compression sleeve), and reducing movement of joints which can help in reducing inflammation and pain. If the pain is severe it might be a good idea to get some over the counter medicine like ibuprofen or acetaminophen; these will provide fast and efficient pain relief. Ibuprofen, in particular, is useful for temporarily reducing inflammation and easing muscle pain. But you need to be cautious and read instructions for the medication to make sure that you are permitted to take it, You also need to make sure you don’t t ake too much or make it a constant pain relief solution. To prevent further injury, you will need to be more vigilant and listen to the signals your body gives you. If it hurts, do take the time to rest and resist the temptation to push yourself, because this can lead to a more serious injury. Also, make sure you always warm up before any exercise so that your muscle is ready before bombarding it with strenuous exercise. Another reason people get shin splints while running is that they run on hard surfaces like roads, so it might be a good idea to try and change the area where you’re running. Try switching from concrete and asphalt to a beach, grassy fields, or even a specially designed running track. Avoid hard surfaces, as this will negatively affect your lower leg and joints, and can lead to severe injury if not rectified. If you do feel that you may have shin splints, it is a good idea to stop excessive exercise for at least two week period. You can still exercise during this break but just try less excessive activities that don’t affect your shin area, like yoga, cross training, or swimming. If the pain persists, seek medical advice from your doctor to rule out a more severe injury like a stress fracture in your tibia, which can lead to long-term damage. By following the tips above, you should be back to running in no time.